(Photo courtesy Uinta-Wasatch-Cache National Forests) The Pole Creek fire has grown to approximately 7,500 acres. The lightning-caused Pole Creek Fire grew rapidly Thursday because of high winds, causing officials to evacuate three communities near the wildfire in Juab County and effectively shut down the section of the national forest where it’s burning. Utah fire officials announced Thursday afternoon that residents living in the Covered Bridge, Woodland Hills and Elk Ridge communities must evacuate. The fire has been burning in rough, dry terrain inside the Uinta-Wasatch-Cache National Forest’s Mount Nebo Loop area since Sept. 6, fire officials said, but recent high winds have bolstered the blaze. The fire grew to about 20,000 acres on Thursday, up from 400 on Wednesday, and reached Santaquin Peak. High winds have also hindered fire officials use of air resources, like helicopters and planes, to fight the blaze. The fire is 2 percent contained. Officials have closed the Nebo Loop National Scenic Byway, which bisect this part of the national forest, to all traffic and barred anyone from going into most parts of the forest east and west of the roadway “for public and firefighter safety" because of both the Pole Creek and nearby Bald Mountain fires. Highways around the forest are also closed. U.S.-6 was shut down from the mouth of Spanish Fork Canyon to its junction with U.S.-191 on Thursday night. U.S.-89 remained closed in both directions from Indianola to U.S.-6, according to the Utah Department of Transportation. Utah County Emergency Management evacuated about eight homes along the Nebo Creek road to the junction with Highway 89 on Wednesday night when they were threatened by the fire. No structures have been reported damaged or destroyed. More than 200 people are assigned to fight the Pole Creek fire, including firefighters from Unified Fire Authority and West Valley City, Draper and Salt Lake City fire departments who sent crews to the blaze Thursday, according to a news release. Lt. Gov. 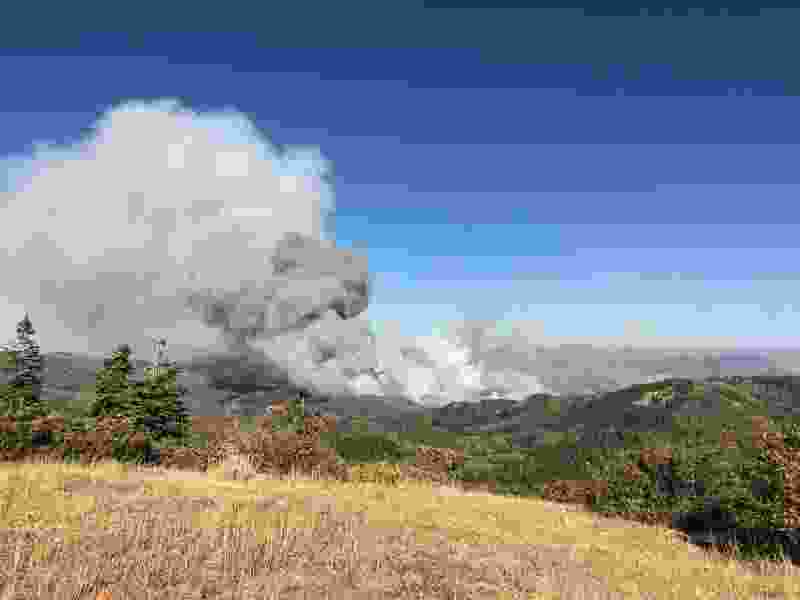 Spencer Cox called the wildfire situation “a true emergency” for people living in the area, especially Woodland Hills, where he said the Bald Mountain and Pole Creek fires were converging. He also criticized the U.S. Forest Service’s response to the fires, saying officials made an “inept" decision by managing the fire and letting them burn “during one of the worst droughts in recent history," instead of trying to suppress them.